Artist Ashton Archer knows his brother isn't capable of violence—against himself or others. He recruits Lila, the only eyewitness, to help him uncover what happened. Ash longs to paint her as intensely as he hungers to touch her. But their investigation draws them into a rarefied circle where priceless antiques are bought, sold, gambled away, and stolen, where what you possess is who you are, and where what you desire becomes a deadly obsession. . .
Now, I don't usually do reviews on Nora's books, because let's be honest, they are all fabulous and everyone knows she's fantastic. But, this book was by far one of my favorites in recent years. Lila Emerson is a house-sitter who has no home except wherever she happens to be working at the time. She lives her life out of 2 suitcases and loves it! She has house-sat all over the country and all over the world. If you ask me, that's a pretty glamorous job. What is one of her favorite things about house-sitting you might ask? People watching. Lila is also a young adult novelist and spends her time making up stories about the people she sees out her temporary windows. While on a job in New York, Lila gets to know the people who live in an apartment building across the street from her job. Each delightful neighbor has a story just waiting to be told. Lila is having a grand time describing the life of a young couple who fight big and love big, when one day the fighting gets a little too big. She witnesses the young man killing the young woman. She calls the police and becomes the number one key witness to a murder suicide. However, the young man's brother, Ashton Archer, doesn't believe his brother could have killed his girlfriend and then committed suicide, but he does believe that his brother was into something dangerous. Ash convinces Lila to help him uncover the story behind his brother's death and they end up embroiled in a centuries long conspiracy involving rare missing artifacts. We all know that Nora can tell a fantastic story with deep characters and rich world building, but something about the way she does suspense is so gripping. Lila and Ash are fantastic characters and their story is by no means boring, but the real gem is the mystery of the Faberge eggs. I love history, and the historical context of this book makes my heart happy. I listened to this one on tape, so I couldn't rush through if like I can with a paper book, and it made the suspense of the journey so much better. 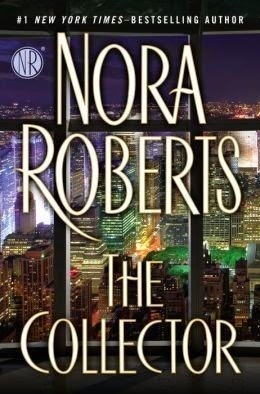 I highly highly highly recommend this to Nora fans and newbies alike. 5 out of 5 stars. And be on the lookout for the conclusion to Nora's Cousins O'Dwyer Trilogy, Blood Magick, which comes out October 28th! You won't want to miss it.